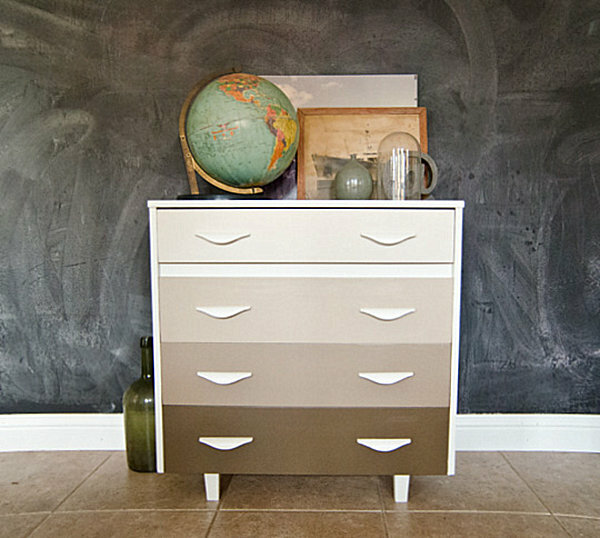 I've seen loads of lovely ombré drawer efforts, I think they are fab! I had a tallboy already painted in duck egg chalk paint who needing a little something, so pulled her out of the workshop and had a go. Loving how traditional she still is, but with a quirky twist, great storage; clothes, toys, bathroom?? I thought her quirky shape deserved a little distressing, just a touch! Some close ups for those who might be thinking, hmmm, that could work in my house ;) Apologies for some finger shots, I was under pressure to finish from a sick child!